Organizing doesn’t have to mean that you are spending lots of money on systems which you don’t even know if they will work! It is possible to organize your garage on a budget and still end up with an organized and functioning space. You need to find systems that work for you and your family; spending lots of money on a new system doesn’t mean that it is going to work, you have to find the right system for you first, or you might find that the chosen system is a complete waste of time and money! It isn’t about spending money, but looking at creative ways in which you organize the things which you own so that you can find them again. Having a plan is essential, knowing what you need to store in your garage and what needs storing in other areas. The space in the garage is often miss-used because it is often just a large empty-looking space that seems to hold all the junk in our homes. This gives a garage a bad name, it is a large space and because of this, it is difficult to find systems which work, that allows your possessions to look clean and organized and in their correct home. Creating a plan is the most important step, it helps you decide what items you want to store in your garage and can help corral them together as you are sorting. Not every garage is the same size or shape and this makes the storage solutions very personal. Sometimes a garage can come with some built-in storage other times it comes with nothing. Look at the items you have for storage and their condition, to make sure they are suitable and fit for purpose. Often storage options in garages are basic and often missed from cleaning schedules and can quickly become dirty and in need of a good clean. Knowing the items that you will store in the garage is important, and the best way to store them in good condition is something you must consider, too. I am not one for spending money on storage options, I like to think about what we have and what we need and to work through this and the space available. There are loads of ways that you can create storage, which is pretty often from items that you normally throw away. If you are looking to organize your garage on a tight budget, being creative in the solutions that you come up with is important. Thinking about these in advance means that you don’t suddenly decide to spend more money on storage because you haven’t first created a plan. There is nothing worse than putting things in their new home and forgetting where they go or what is in the storage containers. This means that items easily get misplaced or worse, you end up destroying what you have created because you forgot to label exactly where to find each item or category. While it is great if you can have pretty labels, you don’t have to have them if you are trying to save money. It is just as effective to write on a piece of tape or on the box or shelf. You can also take this one step further and actually create an inventory of the room with details of where each item goes. I would love the time to do this, maybe in the future, I can do this for every room in my home! That would be an awesome project! Most items are around the edges of a garage leaving the center space for projects or storing your car in the garage. This means being creative on your storage in the vertical. The best forms of storage in your garage is off the floor. This makes it easier to keep the floors clean and organized! It is easier to store and retrieve items if they have a home to go to, it is the same principle as organizing inside your home. Having shelves on the walls can help corral the items, but sometimes you might need to put items in other containers to protect the items from insects, or storing for longer periods of time. However, a garage is not a dumping ground, you have to need all the items you own. It is easy to place items in the garage with the hope of one day using it again. However, this is hoarding and if you don’t need it or love it then it might be time to donate, sell or trash the item. Storage doesn’t have to cost extra money, how many jars do you throw out each week? The same with boxes of all shapes and sizes. It is possible to reuse these and to create storage solutions for all your needs. I have kept the plastic toy boxes my kids used, these are ideal for storing items for longer periods and to protect them from the elements. What are your best tips to organize your garage? Therefore, if you need to organize your garage on a tight budget it is possible, you must have a plan and get creative with your storage solutions. All the items that you store in the garage must have a use, don’t just store clutter and remember to think of vertical storage options to keep as much as possible off the floor! 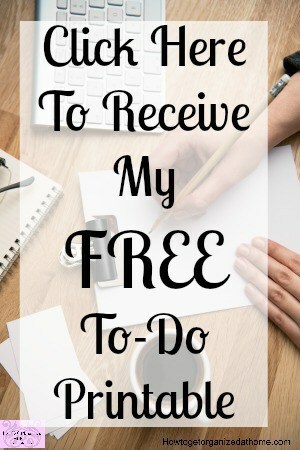 I wrote this article I think you will love! 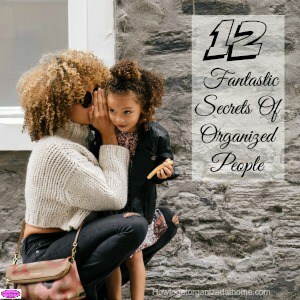 12 Fantastic Secrets Of Organized People.